2011 began in Russia on a dark note with a deadly terrorist attack at the Domodedovo Airport on Jan 24, the latest addition to a long list of such horrid acts of devastation in Moscow. A suicide bomber exploded in the middle of a crowd of passengers in the airport’s international terminal -- 37 people were killed and over 200 were wounded. The last major terrorist act in the capital, an explosion in the Metro that left 40 dead, had occurred in the spring of 2010. In 2011, at least three more tragedies occurred, which reverberated in the hearts of all Russians. On July 10, the Volga cruise ship in Bulgaria was wrecked and 122 people were drowned. The decade’s worst tragedy in the world of sports occurred on September 7 as a plane crashed, killing the entire Lokomotiv hockey team (of the 45 who perished, 37 were hockey players, 8 were crew members). The year ended with yet another disaster: in mid-December, the floating Kolskaya oil rig overturned and sank in the Sea of Okhotsk, killing over 50 people. After a deluge of complaints, a federal law “on the police” was passed on March 1. The necessity of reforming the apparatus of internal affairs became obvious to the government after a series of sensational crimes committed by employees of the Interior Ministry. The most widely reported of these was the shooting of customers in a Moscow supermarket by a drunken police officer in April 2009, and the murders in late 2010 of 12 people in the Kushchevskaya settlement in southern Russia by members of a criminal gang who were virtually abetted by corrupt policemen. Russia’s militia (police) was renamed politsia. During mandatory reconfirmation proceedings, more than 200,000 Interior Ministry employees, including 140 generals, were sacked. Are the police now doing a better job? The jury is still out on the success of these reforms. On March 27, Russians turned their clocks forward one hour for the last time, making Daylight Saving permanent in Russia. The time reform was based on the conclusions of experts who cited the negative effects of the time change on people’s health, the lack of economic benefits, and sociological opinion polls. Since 1st July, Russia, Belarus and Kazakhstan are operating under a full customs union. Customs barriers between the countries were removed. Experts predict that the creation of the Customs Union will bring Russia a hefty profit of some $400 billion, and Belarus and Kazakhstan a profit of $16 billion, while causing the GDP of these countries to grow by upto 15% by 2015. The three countries have now begun moving in the direction of creating a Eurasian Union. After being closed for restoration for six years, Moscow’s iconic Bolshoi Theater re-opened its doors on Oct 28. After the $700 million reconstruction work, the theater doubled its space to 80,000 sq. meters. The main hall boasts unique acoustics and a stage the size of a six-storey house, the largest in Europe. Undoubtedly, the parliamentary elections in Russia and the “awakening” of a civil society will top the list of defining political events in Russia in 2011. The ruling party United Russia managed to win, but with a reduced presence: it got 238 seats in the 450-member Duma. But alleged violations during the elections, which the opposition decried as “massive”, led to a series of protests. Demonstrations in Moscow and St. Petersburg were the largest in the last decade. 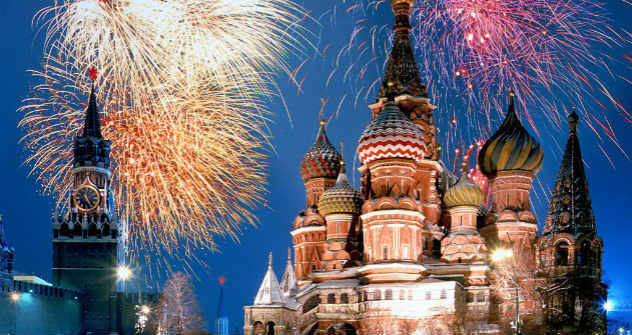 The events of December 2011 may mark the beginning of the awakening of a civil society in Russia, experts say. With the 24th satellite up and running, the Global Positioning and Navigational System (GLONASS) was complete: its 24 satellites working on three orbital planes are now able to completely cover the globe’s entire surface. The launch of the last satellite took place on December 4. Within three months, the American GPS will not have any advantages in terms of precision over Russia’s GLONASS, which will provide a precision of 2.5 to 2.8 meters, Roskosmos announced. In addition, on November 3, the unique Mars-500 experiment was successfully completed. After 18 long years of negotiations, a protocol was signed on Russia’s accession to the WTO on December 16 at a ceremony in Geneva after the WTO’s ministerial conference finally approved this decision. In yet another important diplomatic event, Russia took up the chairmanship of APEC (Asia-Pacific Economic Cooperation) for 2012 and will host the next APEC summit in Vladivostok in September next year. Among Russia’s priorities as chair will be the liberalisation of trade and investment.